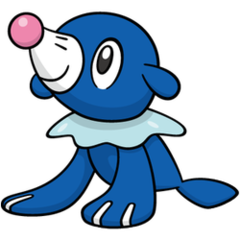 Sun This Pokémon snorts body fluids from its nose, blowing balloons to smash into its foes. It’s famous for being a hard worker. 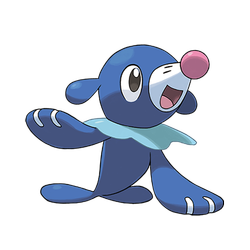 Moon This Pokémon can control water bubbles. It practices diligently so it can learn to make big bubbles.